Respiratory viral infections in infants undergoing congenital heart surgery lead to prolonged intubation time, hospital (HLOS) and cardiac intensive care unit length of stay (CICU LOS). 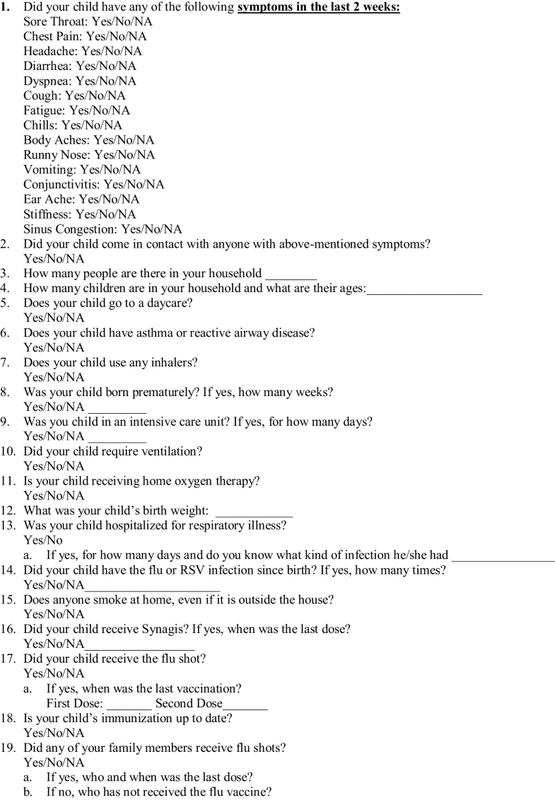 The objective of this study was to evaluate the prevalence of respiratory viruses using molecular testing in otherwise healthy infants presenting for low complexity heart surgery, and to evaluate the impact of a positive viral screen and study questionnaire on post-surgical HLOS, CICU LOS, intubation time, respiratory complications, and oxygen therapy at home discharge. 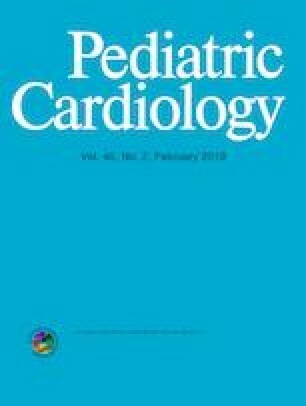 Sixty-nine infants (1 month to 1 year) undergoing cardiac surgery from November to May of the years 2012 to 2014 were prospectively enrolled, surveyed and tested. We compared the outcomes of positive molecular testing and positive study questionnaire to test negative subjects. We also evaluated the predictive value of study questionnaire in identification of viruses by molecular testing. Of the 69 enrolled infants, 58 had complete information available for analysis. 17 (30%) infants tested positive by molecular testing for respiratory pathogens. 38 (65%) had a “positive” questionnaire. Among the 20 viruses detected, Human Rhinovirus was the most common 12 (60%). Seven (12%) of the 58 patients developed respiratory symptoms following surgery prompting molecular testing. Four of these tested positive for a respiratory virus post-surgically. Neither positive molecular testing nor a positive questionnaire prior to surgery was associated with greater post-operative HLOS, CICU LOS, intubation time, respiratory complications, or use of oxygen at discharge compared to negative testing. The questionnaire poorly predicted positive molecular testing. Routine screening for respiratory viruses in asymptomatic infants may not be an effective strategy to predict infants at risk of post-operative complications. We want to thank Jennifer Burgi, Amanda Grove and Anna Jolley, research coordinators with section of Cardiology at University of Utah, for their contribution in this project. Susan Bratton for reading the manuscript and given her valuable feedback. Chelsea Yates for her help with data collection. The research reported in this publication was supported in part by the National Center for Advancing Translational Sciences of the National Institutes of Health under Award Number UL1TR001067. The content is solely the responsibility of the authors and does not necessarily represent the official views of the National Institutes of Health. BioFire Diagnostics, LLC. Provided Film Array Respiratory Pannel (RP) test kits for this study. AJB collaborates with Bio Fire Diagnostics, LLC on federally funded studies has received research funding from Bio Fire Diagnostics for investigator-initiated research. AJB has intellectual property licensed to Bio Fire Diagnostics, LLC and receives royalties through the University of Utah. Authors: Claudia Delgado-Corcoran, Zhining Ou, Angela P. Presson, Phillip T. Burch, Charless G. Pribble, and Shaji C. Menon declare no conflict of interest or have financial relationships relevant to this article to disclose. All procedures performed in study were in accordance with ethical standards of the instutition and national research committee.